be the leader you know you can be! Contact the Youth Ministry Office at 780-424-5496 to find out more and to apply. We already have an awesome start to our staffing... but we need... YOU. 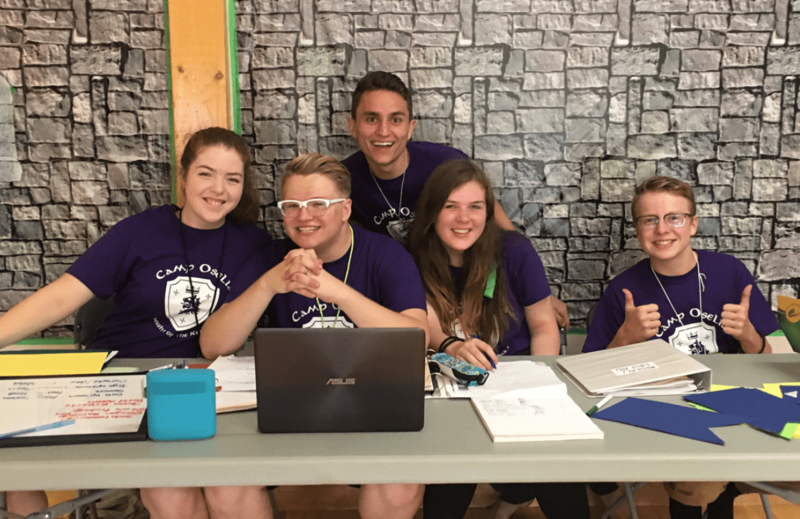 Join our team of adults and mature teens as we put on the best camp in the world! We need quality counsellors to guide and lead the children of our Elementary, Mixed and Jr. High Camps. If accepted you will be the role models and leaders for boys and girls as they play and learn about themselves, each other and God. You will need to be strong, creative, problem solving, motivated and joyful... even if there's a pesky mosquito in your dorm room! Of course, you will naturally need to pass screening and and interview for the job. As a part of our program, you will not only play and look out for the safety of the kids, but you will also help teach them the faith in a fun way. This year we will learn about Sacred Scripture via our Time Travel theme. You will be expected to act, sing, dance, build a time machine and yes... even eat jello without using your hands.